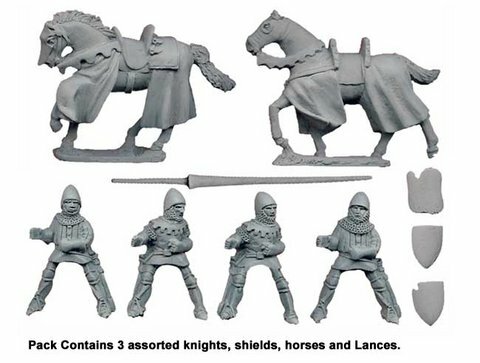 Knights with Lances (3) 28mm sized metal figures, supplied unpainted. The entire Crusader Miniatures range is produced under licence. The exclusive copyright for all Crusader figures belongs to Mark Sims.